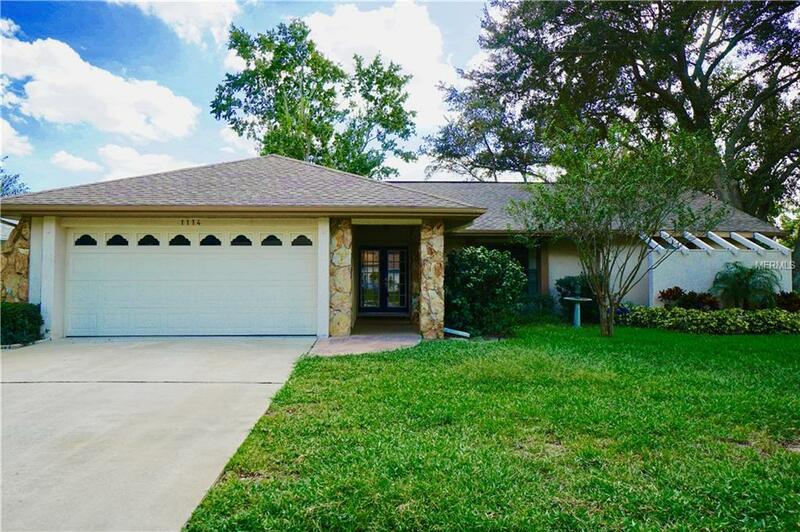 UPDATED - MOVE IN READY - 3/2/2 HIDDEN LAKE Home on a CORNER LOT! Walk to PALM HARBOR UNIV. HIGH SCHOOL- PHUHS. OVERSIZED Lot (120' x 115'). Premium 18" Porcelain Tile throughout. Kitchen is a chef's delight w/ LIKE-NEW STAINLESS STEEL APPLIANCES, Breakfast Bar, Eat-In Area, & plenty of Cabinets and Counter Space. 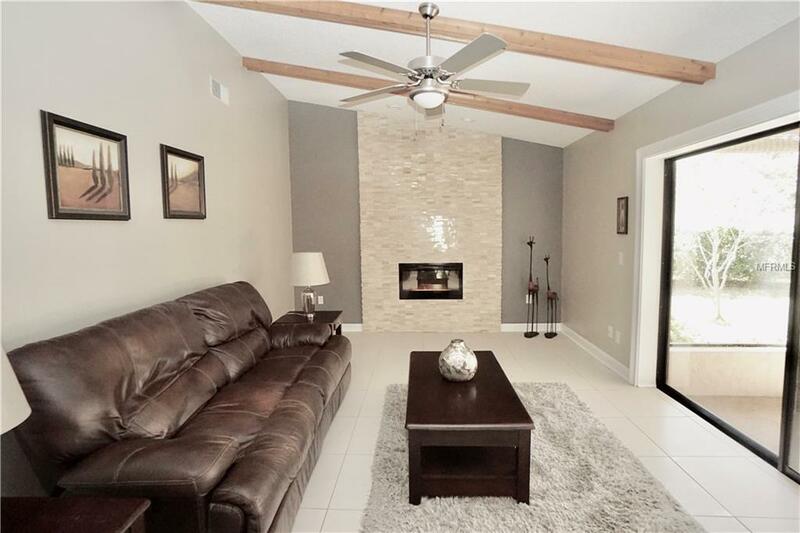 ELECTRIC FIREPLACE & VOLUME CEILINGS in Great Room. RECESSED LIGHTING throughout home. Modern 5" Baseboards throughout.Crown Molding. FRESHLY-PAINTED INTERIOR. 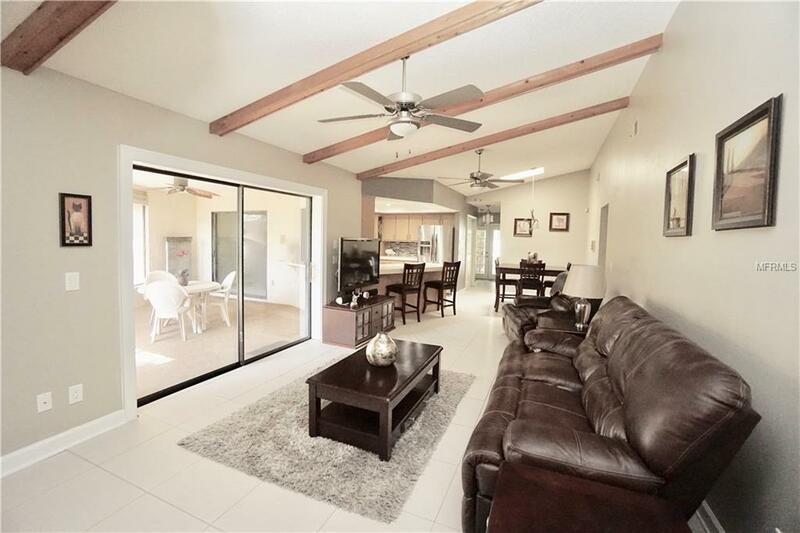 Huge Master Suite w/ CATHEDRAL CEILING & LARGE WALK-IN CLOSET.Completely Remodeled MASTER BATHROOM is your sanctuary with FULL-BODY SHOWER with *6 NOZZLES* + RAINFALL SHOWER HEAD! NEW DOUBLE-SINK VANITY with PREMIUM GLASS BACKSPLASH TILE. SPLIT BEDROOM PLAN. Secondary Bedrooms feature Very large 9' CLOSETS! Cellular Shades in Bedrooms. The Guest Bathroom is REMODELED & GORGEOUS w/ 28" Textured Tile & Premium Fixtures.Lots of Natural Light throughout home. New Stainless Steel Fans (5). Large Inside Laundry w/storage. New AC (2012). Newer Roof (2008). NEW Water Heater (2018). IRRIGATION SYSTEM w/ reclaimed water. Interior Gorgeous DOUBLE-GLASS Entry Doors. Beautiful Landscaping. Side Yard has room for boat storage. Community has a Lake, Playground, Basketball & Tennis Courts. Nearby beaches include Crystal Beach, Honeymoon Island, & Clearwater Beach. Currently zoned for TOP-rated Palm Harbor Schools. This home has is a dream come true, it has it all! NO FLOOD ZONE. Very low HOA of $463 per YEAR. 2x weekly garbage included. Listing provided courtesy of Elegant Casas Corp.